Back from vacation. *sigh* I’m alright, readjusting back into the real world, but my wife is still missing Japan. She’s been looking at flight packages to Osaka, torturing herself. I spent my vacation with an old friend from high school and her boyfriend. It made for a very interesting trip. I met her back in computer class when I was fourteen in Winnipeg, but now we found ourselves all old and roaming around Seoul, the DMZ, and Tokyo. Good stuff. Old friends are awesome! We hit most of the hot spots in Tokyo, from the Sanja festival in Asakusa, to the weird and sad maid café scene in Akihabara. I gotta give it to the Japanese. Very polite and very clean! Despite the kookiness, it was great having my personal space respected all the time and no older folks trying to lord over other people with old school hierarchy. It’s damned expensive though. 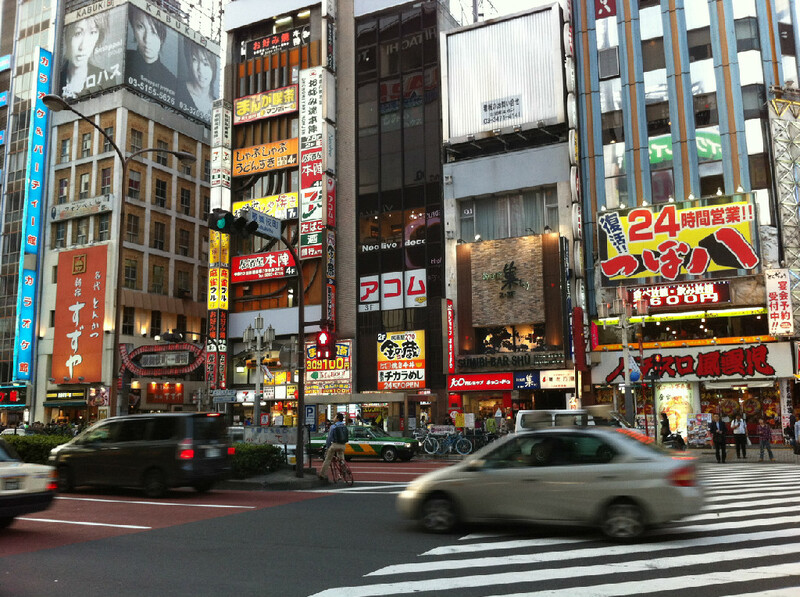 It would be great to work in Tokyo, but I doubt if I could save a dime. Will be going on vacation for a couple of weeks, so The Weekly won’t be quite as weekly. One my oldest friends, someone I’ve know since high school, will be visiting me and we’ll be visiting Tokyo together. Good times to be had! This phenomenon is probably most apparent if you look at the wanted ads for teachers in the country where schools specifically look for Caucasian applicants, perpetuating the notion that Americans, Canadians, and Europeans are supposed to be white. This can sometimes be annoying when it comes to other Canadians who ask where I’m from, then in an attempt not to be offensive, ask where my parents are from. Uhm, and why are we talking about my parents? What is really being asked? Why are my origins so important at this point? How will this improve the current interaction especially when I really couldn’t care less where the other person (or his/her parents) are TRULY from or why their skin is colored that way. I just wanted a beer and I feel like I’m being questioned by an immigration officer. So with the distasteful history of having to prove my “Canadian-ness” to the gatekeepers of “Canadiana” for whatever reason, it was a bit of a twist the other day when a group of people in an African bar were quite insistent that I was South African. For once, a group of foreigners insisted that I was one of them and that for whatever drunken reason I must have some African heritage in me. I realize I was still being judged by my appearance, but this time it was welcoming. I wasn’t about to be tested… apparently I already passed with flying colors. What’s a guy to do? Join them and listen.